Surprisingly few of the ingredients in some pricier supplements deliver the health benefits you might expect from looking at the packaging, according to the latest Which? research. In fact, most of the ingredients that do have proven benefits in certain supplements, such as cod liver oil and co-enzyme Q10, could be found more cheaply in a multivitamin – or even in a healthy and balanced diet. The health claims made on the packaging of supplements are covered by EU legislation, but many still promote ingredients that have no approved claims. 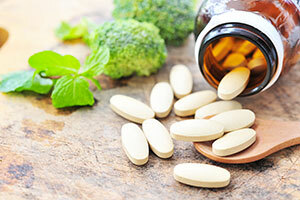 You can read our full investigation into food supplements in the February issue of Which? magazine. If you’re not already a Which? member, you can subscribe by taking a £1 one-month trial to Which? magazine. Cod liver oil supplements often claim to help maintain bone and muscle health. But what’s not always made clear on the packaging is that, typically, the active ingredient that actually contributes to your joint health is vitamin D.
In fact, no health claims can be made about cod liver oil at all, according to the EU Register on Nutrition and Health Claims. But there is nothing to stop cod liver oil supplements being marketed as a product ‘for joints’, as long as it does not explicitly state that it is something unique to fish oil that helps joint health. Vitamin A is also present in fish liver oil, and this helps maintain vision and immune system health. The fact the benefit comes from vitamins A and D, rather than anything unique to cod liver oil, means you might as well take a cheaper multivitamin. And if you take both a cod liver oil supplement and a multivitamin, or already have a diet rich in vitamin A, failing to spot the extra vitamin A you’re taking through cod liver oil also means you could inadvertently be consuming too much. High levels of Vitamin A, taken regularly, can accumulate in the body and cause liver damage in extreme cases. It’s a similar story with co-enzyme Q10, which is a substance in cells that helps energy production. Co-enzyme Q10 supplements are often marketed as providing an energy boost, despite there currently being no recognised link between taking co-enzyme Q10 supplements and increased energy levels. If you look closely at the bottles in shops, you’ll notice that they often contain B-vitamins, which allow the supplement manufacturer to make energy-boosting claims. There are several different types of vitamin B, but while they’re essential and good for energy levels, vitamins B1 and B6 at high doses are linked to skin tingling and numbness. Most of the companies we spoke to did not think their labelling was confusing as all the ingredients are listed on the back. The Health Food Manufacturers’ Association, which represents the food supplements industry, told us that labelling rules prevent ingredients from being ‘hidden’. It also said there is no requirement to list all the ingredients on the front of the packaging, where there is little space. Unless you have a known nutritional deficiency and your doctor has recommended that you take supplements, most of us are likely to be getting a reasonable amount of vitamins and minerals from our diet, and supplements only add to that. ‘Multidosing’ with several supplements can be harmful when done daily and over a long period of time. So make sure you check the packaging of supplements carefully to make sure you know exactly what you’re taking.